Few countries can boast South Africa’s natural riches, cultural diversity, and pure scenic splendor, and we embrace all three in equal measure on this epic South Africa safari. This journey begins in Cape Town, one of the world’s most spectacular cities, nestled between iconic Table Mountain and the sparkling currents of the Atlantic. 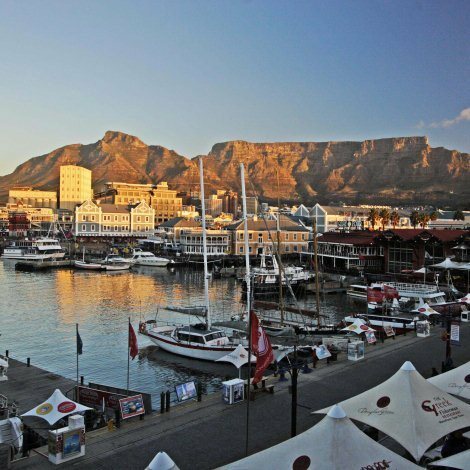 Here you’ll experience Cape Malay-influenced culture and the city’s poignant past, enjoy creative cuisine and local wines, and explore beautiful coastline. 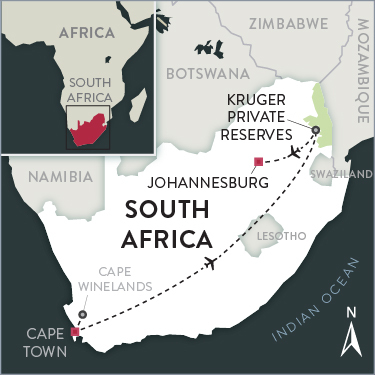 Venture into the Winelands for a night, tasting the Pinotage and Cap Classiques for which this wine region is famous, before topping off your adventure with an exciting Big Five safari. Lions, buffalo, elephants, rhino, and leopards — you name it and your naturalist guide will likely be able to find it in the wildlife-rich private reserves bordering legendary Kruger National Park. In Johannesburg, you’ll explore Rosebank before a final celebratory dinner. From the wilderness to bustling Cape Town and the utterly scenic Cape coast, this itinerary provides the ultimate introduction to South Africa. From Johannesburg, it is easy to extend your travels — whether you yearn for more time in the bush, want to explore Namibia’s giant red dunes at Sossusvlei, or the thundering waters of Victoria Falls are on your bucket list, Boundless Journeys offers extensions to all the highlight regions of Southern Africa. 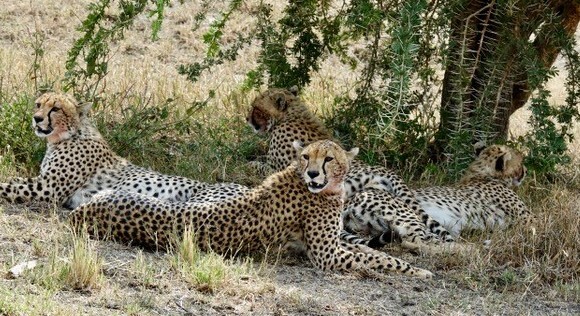 Why Trust Your South African Safari to Boundless Journeys? This unique safari features a wide range of experiences from wine tasting to an unforgettable Big Five safari and immerses you in all that this amazing country has to offer. Pair this with charming accommodations, excellent cuisine, and one of South Africa’s most knowledgeable cultural guides, and the result is a world-class journey that you won’t soon forget. 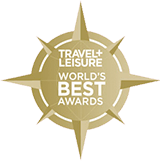 Boundless Journeys’ partners in Africa are widely recognized as among the best safari outfitters on the continent. In addition to experienced guides, first-class vehicles, and a diverse selection of camp and lodge options, our partners’ conservation efforts and community-mindedness are great matches for Boundless Journeys’ core philosophy. Our exploration begins in Cape Town, South Africa's oldest city, with its vibrant cultural scene and iconic Table Mountain. We venture out onto the scenic Cape Peninsula, where the Indian and Atlantic Oceans meet. Encountering epic Big Five game, including one of the best places to find cheetah and white rhino in the greater Kruger National Park ecosystem. Easy-going walks at the coast, along the top of Table Mountain, and in the Cape Winelands complement our exploration of the food and wine of the region. Visit some of the most scenic areas of the Cape Winelands, and taste regional vintages from Pinotage to Cap Classique. Days of exploring are complemented by evenings in charming, boutique hotels and a luxury permanent safari camp. 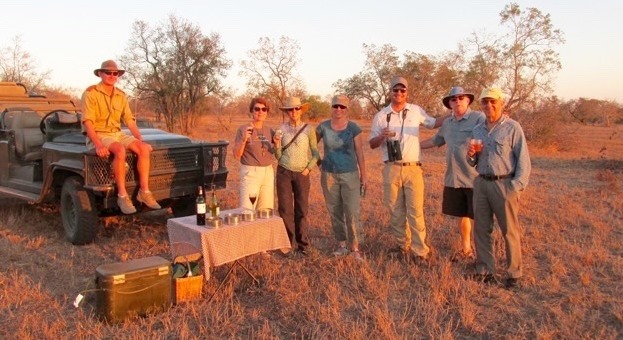 Evening sundowners are a safari tradition and an ideal way to experience glorious African sunsets. 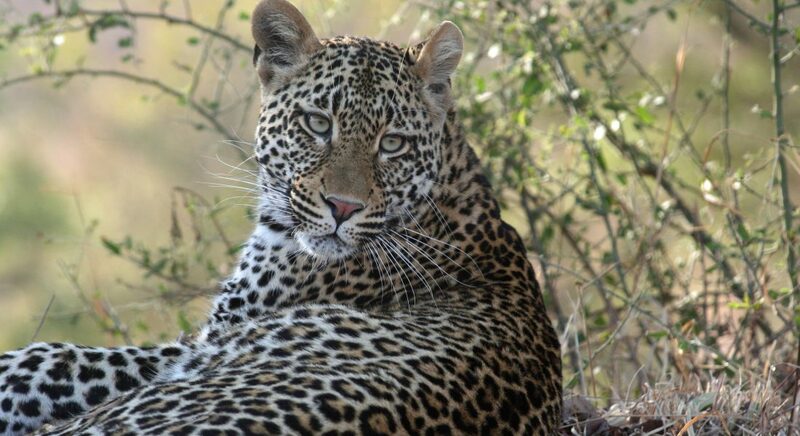 Normally a challenge to find, the private reserves adjacent to Kruger National Park are a stronghold for leopards, and offer some of Africa's best chances of viewing them. 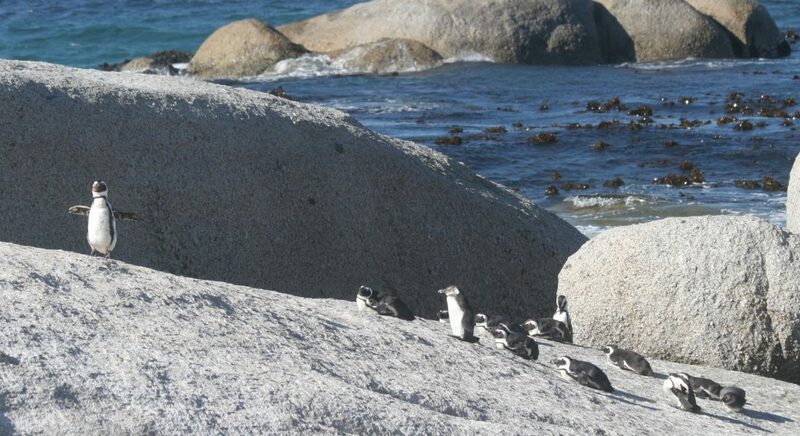 The endangered African Penguins of Boulders Beach are now protected and numbers are on the rise. Boundless staff and guides are just outstanding! Your adventure begins in Cape Town, where our local staff will greet you upon arrival at the airport. You will be assisted through immigration, baggage claim, and customs and then transferred to your accommodations for the next three nights — a boutique hotel located in the heart of the city. Once checked in, relax and unwind from your travels. Enjoy a swim in the pool or an apertif at the rooftop bar, where you can take in the panoramic views of the city and Table Mountain. 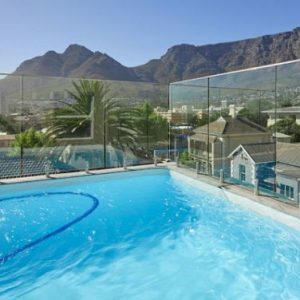 Located at the foot of Table Mountain, the Cloud 9 Boutique Hotel is walking distance from the heart of Cape Town and less than a 10-minute drive from the Victoria & Alfred Waterfront, as well as Camps Bay and Clifton Beaches. Amenities include a rooftop bar, sun deck and pools, and an on-site spa. This morning you'll meet your guide and depart the hotel to explore Cape Town. We explore the city primarily on foot, while learning about its history, people, and cuisine. Along the way we'll encounter Cape Town's contemporary charms as well. From creative new restaurants to artisanal craft shops, the opportunities to complement learning about the history of Cape Town are always evolving. We will explore a variety of hidden gems while tasting plenty of delicious local food along the way. This afternoon, if weather permits we'll ride the revolving aerial cable car up Table Mountain,* where we can walk along its flat top and enjoy sweeping views of the city and coastline below. Table Mountain has its own weather, however — with frequent cloud cover known locally as the "tablecloth" — so if we are unable to reach the top today, we will have another chance tomorrow. This evening you'll enjoy dinner at one of Cape Town's fine restaurants. *Please note that the Table Mountain Cable car typically closes for annual maintenance for about two weeks from late July-early August. Today we explore the beautiful coastline of Cape Town, beginning at the beaches of Clifton and Camps Bay and heading toward the furthest reaches of Table Mountain National Park — the Cape Peninsula. Our route takes us past the fishing town of Hout Bay, along the spectacular Chapman's Peak drive, and onto the peninsula. 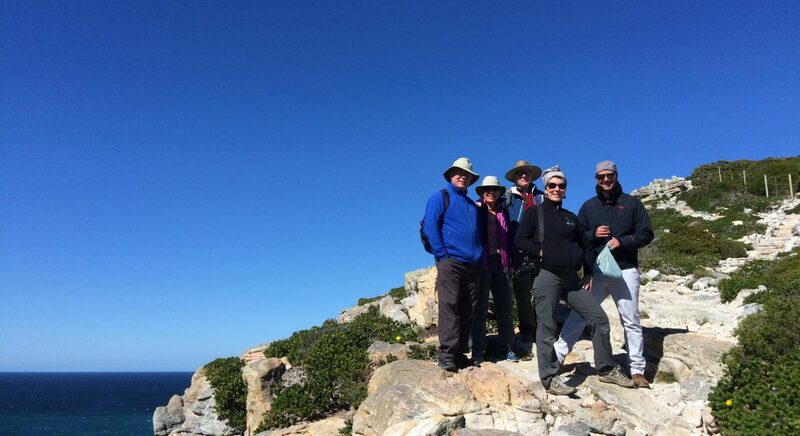 We arrive at the two endpoints of the peninsula: the Cape of Good Hope and Cape Point with its iconic lighthouse. 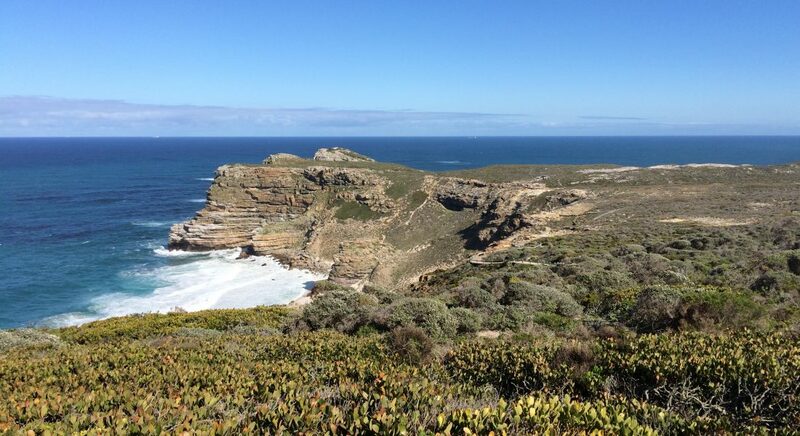 At the Cape of Good Hope Nature Reserve, we'll ride the funicular and take in sweeping views of False Bay, the mountains to the north, and the meeting point of the Atlantic and Indian Oceans to the south. As we return to Cape Town, we'll pass Boulder's Beach and stop (as many do!) for a brief visit with its famously well-dressed inhabitants, the African penguins. This endangered species has seen recent success at Boulders Beach, where just a few breeding pairs have now flourished to about 3,000 birds today. The beach is protected from human use, but boardwalks along the rocky shore allow us to photograph and observe these entertaining animals. The remainder of the afternoon and evening is at your leisure to enjoy exploring the neighborhood surrounding our hotel. After breakfast, we check out of our hotel and set off to explore the winelands of Stellenbosch in South Africa's famed wine region. 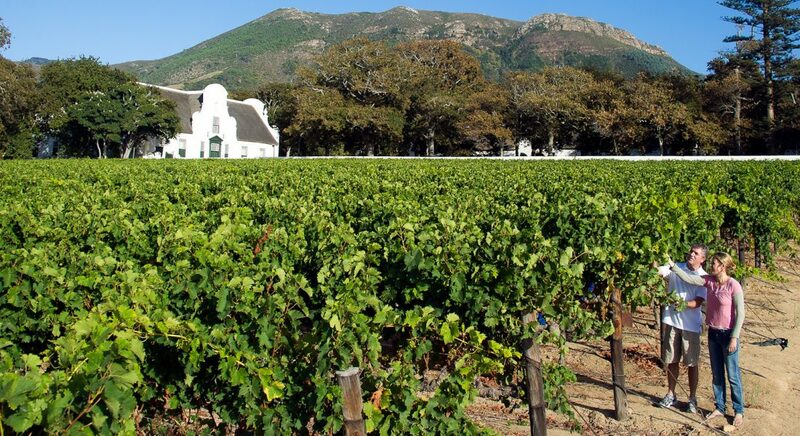 Our wine-tasting and walking stops today will showcase the spectacular beauty of the Cape Winelands. Our first stop is Waterford Estate, set on hundreds of acres that are home to diverse indigenous wildlife, stunning views reminiscent of the Spanish countryside, and trails set among vineyards and citrus groves. We'll take a light picnic and selection of wines along to taste while out exploring. Our morning is topped off with a tasting of chocolates paired with wine back at the Estate. Our next stop is Tokara, where in addition to wines and brandy, there are olive oils to taste and a gallery of fine art to peruse. We enjoy a leisurely lunch here before continuing on. Our last stop today is Le Lude, a wine farm in the picturesque Franschhoek Valley. At Le Lude, the Barrow family practices the technique of Cap Classique — crafting naturally bottle-fermented sparkling wines. 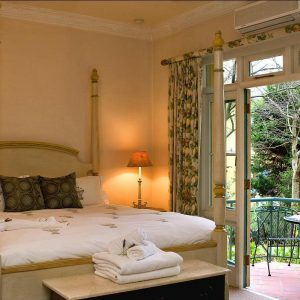 We'll sample a few favorites before heading to our accommodations for the evening, the Franschhoek Country House. 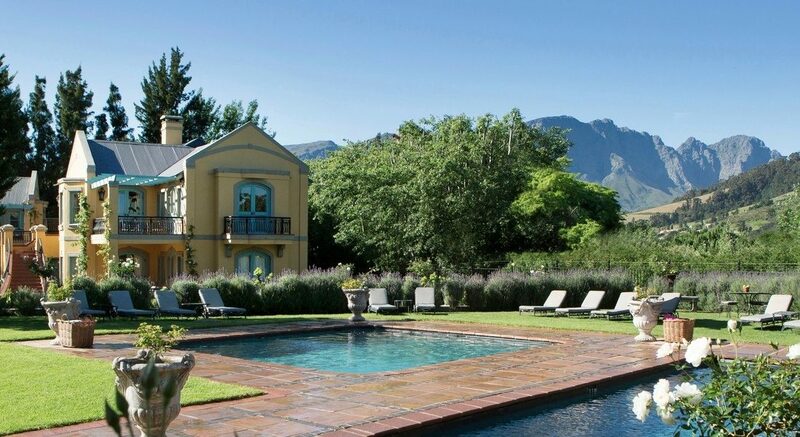 On the outskirts of Franschhoek village and ideally located in the heart of South Africa’s wine country, the Franschhoek Country House offers 5-star accommodations on what was once a Huguenot homestead. Surrounded by wine farms and mountain vistas, the house and its restaurant, Monneaux, offer a tranquil retreat of luxury and relaxation. This morning we have an early departure to return to the Cape Town airport, where we board our morning flight (about 2.5 hours) to Skukuza, where you will begin your wildlife safari. South Africa's flagship national park, Kruger, is renowned for epic Big Five game viewing. Over the past few decades, the park's fences have come down, allowing wildlife to move freely into adjacent private reserves, where one can enjoy all of the wildlife found in Kruger with none of the crowds. The Sabi Sands Wildtuin is the most famous collection of private reserves that comprise the Greater Kruger area. But there are others — from Thornybush to the Timbavati, there are many excellent options should availability in the Sabi Sands be challenging. By this afternoon, we find ourselves exploring a completely different world: South Africa's lowveld, filled with a wide array of wildlife. With a blend of rivierine forest and open savannah, these reserves are prime habitat for cheetah and white rhino populations and is also home to a great diversity of mammal and bird species, including lion, leopard, elephant, buffalo, giraffe, and many more. We embark on an afternoon game drive to get acquainted with our new surroundings. 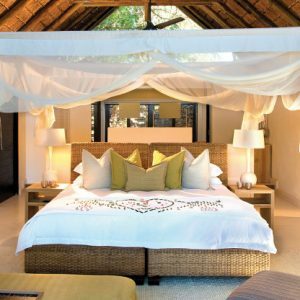 A distinctive lodge located along the Sabie River in the Lion Sands Game Reserve, within the renowned Sabi Sands, River Lodge features 20 thatched ensuite rooms overlooking the African bush or the Sabie River. Amenities include lounge area with mini bar and wooden deck, and some rooms feature private outdoor showers. Two swimming pools, an open lounge and dining area, gym and spa are also available. During our days in the Sabi Sands, a collection of private reserves adjacent to the world-famous Kruger National Park, we'll enjoy classic safari experiences by day and luxury accommodations in the evening. Each day, we'll head out on morning and afternoon game drives in stunning landscapes, featuring riverine forest, acacia-combretum bushveld, open grassland, and rocky outcrops — a paradise for a wide variety of species. We will enjoy epic wildlife, with none of the Kruger crowds and fewer restrictions on our activities. Back at your lodge, enjoy gourmet meals, sundowner drinks at dusk, and evening campfires. This morning we enjoy our final game drive and brunch, before departing for the airport, We fly to Johannesburg, where we check in at our final accommodation, the Peech Hotel. This afternoon, you'll have a guide at your disposal to explore Johannesburg as you wish, whether you choose to explore Rosebank, a hip suburb north of Johannesburg known for its craft markets; Soweto, the extensive townships to the southwest of downtown; or the award-winning Apartheid Museum. Tonight you'll enjoy a final, celebratory dinner in the bustling neighborhood of Melrose Arch, a fitting end to your exploration of this diverse country. Originally a private residence, The Peech is a 16-room eco-chic retreat certified in Fair Trade tourism. 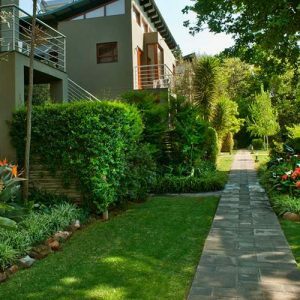 Surrounded by lush gardens, the hotel evokes an oasis set apart from the hustle and bustle of Johannesburg, while offering easy access to up-and-coming neighborhoods. Today, you'll be transferred to O.R. Tambo International Airport in time for your flight home, or perhaps you'll decide to extend your travels to Botswana, Victoria Falls, Namibia, or beyond. Please contact Boundless Journeys if you would like more information regarding ways to extend your travels. As the main hub in South Africa, it is easy to get to a variety of destinations from Johannesburg. Please contact Boundless Journeys at 1-800-941-8010 to discuss the possibilities. Please note that pricing for this trip is based on the accommodations shown and does not include airfare. A flight is needed from Cape Town to Skukuza on Day 5, and from Skukuza to Johannesburg on Day 8. This trip can be customized to your interests, but please bear in mind that pricing is potentially subject to change if accommodations or itinerary are modified. Boundless Journeys' trips are designed for energetic and flexible individuals who like to be active and have a spirit of adventure and a positive attitude. South Africa: Ultimate Cape Town & Kruger Safari is rated 1+, easy with moderate options, on a scale of 1-5 (with 5 being the most strenuous). Our primary activities require little aerobic fitness, but some agility for getting in and out of vehicles, and walking and light hiking through uneven terrain. This trip can be enjoyed by anyone who is in reasonably good health. We may have opportunities for optional nature walks on occasion, but this is determined by wildlife activity and country regulations. NOTE: These optional walks are at your own risk, and can take you close to potentially dangerous wild animals. Cape Town International Airport, Cape Town, South Africa (airport code CPT). O.R. Tambo International Airport, Johannesburg, South Africa (airport code JNB). Your guide will meet you on Day 1 of the trip, in the reception area of the Cloud 9 Boutique Hotel at 6 p.m. We will have a short orientation meeting prior to walking to dinner at a nearby restaurant. The tour will end at O.R. Tambo International Airport in Johannesburg in time for your departing flight on Day 9. As we will be in Johannesburg the evening prior, the departure time can be flexible. The primary activity while in the private reserve is game driving. The wildlife is typically most active early in the morning and late in the afternoon (these times also provide the best light for photography), and therefore we plan our activities accordingly. Typically, we awake early in the morning for a light breakfast before heading out on a morning drive as the sun rises. We proceed slowly, and even when animals are not present, the landscape and sounds of the bush are entrancing. We spend a few hours exploring and observing animals at watering holes or on the move from one region to another. As we come upon groups of animals, we allow plenty of time to simply observe and also take photographs. The safari guides are experienced naturalists and will add greatly to your understanding of the animals. We keep a respectful distance -- although the same cannot always be said about the animals, and it is not unusual to come nose-to-vehicle with baboons, zebras, giraffe, big cats, and elephants. Some days, it may be possible to explore the area on foot in the company of our guide and a ranger. By mid-morning, we usually return to camp where we have a few hours of down time, enjoying the amenities of the lodge, resting, birdwatching, taking photos, or perhaps reading about the region you are visiting. In the afternoon, we gather for hors d'oeuvres and drinks before heading out for the afternoon activity. "Sundowners" -- a light snack and cocktails in the bush -- are an African safari tradition, and a great way to enjoy unforgettable African sunsets. We then make our way back to camp, sometimes driving with a spotlight to look for nocturnal animals. In the evenings, dinner is usually enjoyed with the rest of the guests in camp and may vary from seated meals ordered from the daily menu to dining in the camp boma (a traditional protected outdoor dining area). Winter in South Africa is generally May-September, and mornings and evenings in the Johannesburg/Kruger area can be chilly, occasionally even dropping below freezing. Days are normally sunny and pleasant with occasional cold snaps and almost no rain. Cape Town can experience sunny (but generally cool) weather during this period, with occasional rains. You may obtain other regional weather information at www.weatherbase.com. The high season for safaris in South Africa is during the dry season in the lowveld, where Kruger and the adjacent private reserves are located. The dry season typically goes from May-September, when little or no rain falls. By traveling during this time, you will enjoy the very best wildlife the bush has to offer. This is also a nice time to visit Cape Town as sporadic showers leave waterfalls cascading down the slopes of Table Mountain and there are fewer visitors about than during the summer months of December-March when many locals take their holiday. cuisine is an essential part of the experience when traveling in South Africa. Vegetarians and other dietary needs can be accommodated with advance notice, though choices tend to be more limited. A self-described global citizen, passionate Capetonian, and wine aficionado, Melissa Sutherland hails from the Cape Winelands but lived for more than a decade in New York and Sydney, Australia where she had a career in publishing and served as a Vice-Consul for Political and Cultural Affairs during the early years of South Africa's democracy. Since 2008, she has focused on connecting people with the world of South African wine, art, and travel. During the 2010 World Cup hosted by South Africa she was selected to be a local storyteller as part of Cape Town Tourism’s ‘Beyond the 90 Minutes’ campaign. 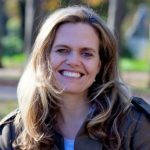 Today, Melissa lives in Cape Town with her husband and two teenagers, and when not writing or painting, enjoys nothing more than sharing the best of what South Africa has to offer with well-travelled and discerning visitors. Safari game drives over varied terrain, cultural touring, easy (with some moderate sections) walks and hikes. 2-6 hours of activity per day.